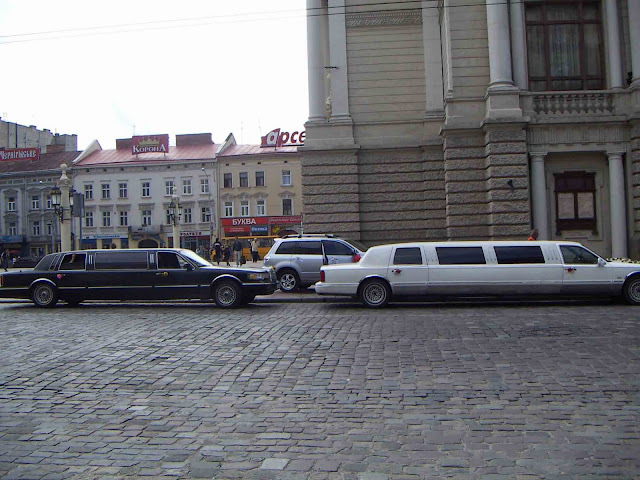 Two wedding limousines waiting for groom and bride near Opera House in Lviv city (western Ukraine). Subscribe to Travel West Ukraine by Email! It's simply! If you are citizen of USA, Canada, European Union, Switzerland or Liechtenstein, you don’t need a TOURIST visa for travel to Ukraine. Decree about it was signed in 2005. Tourist visa to Ukraine means that you are going to stay in Ukraine not more than 90 days. So for your short term stay in Ukraine (less than 90 days) you just need to have a travel passport and to buy a ticket, that’s it. P.S. The same rules work for the citizens of Japan, Andorra, Vatican, Iceland, Monaco, Norway and San Marino. People of these countries don’t need a tourist visa to Ukraine, too. Web-cams of West Ukrainian Cities! Live! Pysanka Museum in Kolomyia - World’s Biggest Collection of Ukrainian Easter Eggs! Girl Of Spanish-Ukrainian Origin Stefania Fernandez From Venezuela Became A Miss Universe 2009! If Ukrainian Women Are So Beautiful, Why Do Ukrainian Men Chase X-weighted Chicks? Who Is An Ideal Of Woman's Beauty For Ukrainian Men? What Bridesmaid And Groomsman Are Supposing To Do At Ukrainian Wedding? Kyiv The Ukrainian Capital Got The World’s Biggest Floral Clock! Museum Exhibits? Nope, a Real Ukrainian Life! Square and Pigeons… Rome? Nope, Ternopil, West Ukraine! Want To Lose Weight? Go To Ukraine! When is best time to visit West Ukraine? Hotels Kiev - best rates for Kiev hotels from leading Ukrainian travel operator. © 2007-2018 Travel West Ukraine. Simple theme. Powered by Blogger.